SPRINGFIELD, Mo. 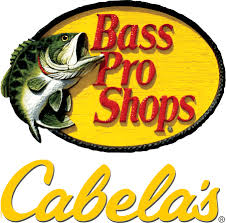 — Bass Pro Shops and Cabela’s are celebrating the return of fishing season and inviting customers to trade in used gear to be donated to local charities in exchange for big savings. The 2019 Spring Fishing Classic is a free celebration taking place February 15 – March 3 in all Bass Pro Shops and Cabela’s locations across North America (March 1 – 17 in Canada and Alaska). Customers that donate used rods and reels (in working order) can receive trade-in savings of up to $200 on the purchase of a new rod and reel. The used fishing equipment will be donated to local nonprofit organizations. Bass Pro Shops and Cabela’s have donated nearly 340,000 products to youth-focused nonprofit organizations as part of the company’s mission to inspire everyone to enjoy, love and conserve the great outdoors. 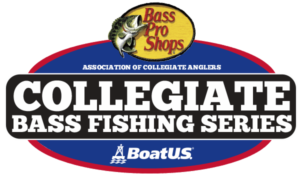 The Classic also includes free fishing seminars for all skill levels, pro appearances at Bassmaster University (Bassmaster University not available in Canada), activities for women and children and free giveaways. Visitors will also see a variety of special offers to upgrade their gear before they hit the water. The 2019 Spring Fishing Classic again offers opportunities to learn from the pros during the free Bassmaster University fishing seminars hosted by some of the greatest anglers in the sport. (Free local pro instructors will present seminars in Alaska and Canada). For a full list of sessions and special appearances, visit www.basspro.com/classic and www.cabelas.com/classic. Women’s Fishing Workshops are also available with introductory fishing information and helpful tips on Saturday, March 2 at 1:30 p.m. (March 16 in Canada and Alaska). The first 15 seminar attendees of each advertised local pro seminar and the Women’s Fishing Workshop will receive a Bass Pro Shops/Cabela’s cooler bag and a pair of fishing scissors. Kids’ Weekend offers free activities focused on teaching kids the basics of fishing. Kids activities are available from noon to 5 p.m. on March 2 and noon to 4 p.m. March 3. (Locations in Alaska and Canada will offer the kids’ event March 16 noon to 5 p.m. and March 17 noon to 4 p.m.). Free activities include casting challenges, a fishing workshop, fun craft, and a photo download. Bass Pro Shops and Cabela’s CLUB card customers can earn up to $100 in CLUB points and earn $25 in CLUB points for every $250 spent on new gear throughout the Spring Fishing Classic. Receive a Bass Pro Shops gift card valued up to $2,400 with the purchase of select boat models including Tracker, Sun Tracker, Tahoe, Nitro and Mako.For trade-in program details, event times and information on qualifying offers visit www.basspro.com/classic or www.cabelas.com/classic.